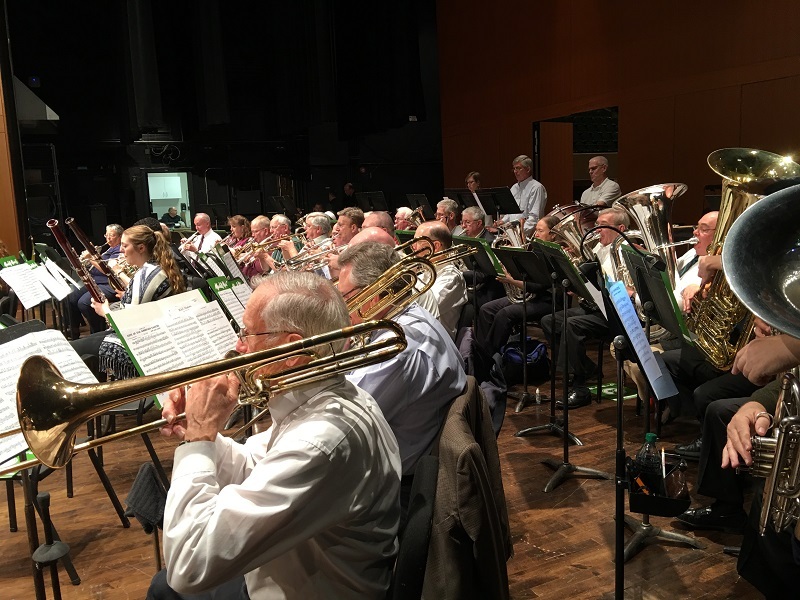 The 2019 MSU Alumni Band Spring Concert Reunion will be Sunday, May 5th at 3:00pm, in the Fairchild Auditorium. We are pleased to again be sharing the concert with the Spartan Youth Wind Symphony (http://www.music.msu.edu/syws), which in the past has filled the theatre! On-line registration will be available soon at this link: https://msu-alumniband-springconcert-2019.eventbrite.com. Or, if you prefer, you can print this paper registration form, fill it out, and mail it to us at the address on the form. Regular registration is available until April 19th. Late registration is available beginning on April 20th, with late fees taking effect. Music is available immediately for those who register on-line. A link is provided as part of the registration process which will allow you to download the appropriate music. Please take some time to look over your music, and become familiar with the arrangements. For those who register manually, we’ll have the music available for you the day of the concert when you check in. And, as we’ve done in the past, we will also be coordinating an optional lunch locally. Participants and their families can take advantage of this time to dine with their fellow musicians and directors. Parking will be available directly across the street on the north side of Fairchild. Please plan on bringing your own instrument to the reunion, or make arrangements to borrow one from another source. MSU typically does not have instruments available to borrow, although there may be limited exceptions for random instruments. In case of a loaned instrument from MSU, a non-refundable fee will be assessed. Please let us know ahead of time if you will need an instrument so that we can determine if any are available! Percussionists are exempt from this requirement. All participants should plan on “dress-up” clothes for the afternoon concert. Lunch is on your own. One option is to join the Alumni Band and directors at the planned luncheon from noon to 2:00pm. You can pay when you are at the venue. Please note – to receive the official acknowledgement from MSU, donations (for any item) must be made directly through University Advancement (on-line donation). Donations through the Alumni Band EventBrite registration process are not tax-deductible. Thank you! If you have any questions, please let us know! You may contact the Alumni Band at alumband@msu.edu, or by calling the Alumni Band phone at 517-351-4582.